Being a student isn’t easy. When you’re writing academic papers and theses, help in any shape or form, is highly welcome, especially if you hate writing. That’s why being familiar with new tools and just keeping up to date with current tech trends, will make the writing process much easier. As a student, you‘re no doubt familiar with Microsoft Word’s spelling and grammar checker that helps you polish your writing. But do you ever go beyond those two features when drafting your documents? In case you didn’t know, Microsoft comes with Editor and Researcher tools to complement the ones you commonly use and have at your disposal. The Researcher tool gives you the opportunity to explore online information without leaving the document editing page, while the Editor tool improves and simplifies your spell check and grammar. If you haven’t used these features or don’t even realize the power of what they can do for your papers, you’re missing out. Whether you need to boost your writing skills for that summer course you’re taking or looking to improve for next September, these features just might do the trick. Let’s explain how these can help you a bit more. Everything starts with an idea and the same goes for your paper writing. When you’re done with brainstorming it’s time to start educating yourself a bit more about your topic and start the actual writing. But when you’re doing your thesis writing in Microsoft Word, you probably spend a lot of time on tiresome and tedious online research. That’s why Microsoft Word 2016 created the Researcher tool to assist you with the exhausting process. The Researcher feature is a service that helps you find and incorporate credible sources and content to your Word documents. The feature uses Microsoft’s Bing Knowledge Graph to get the desired information online and place it directly into your document. And you don’t have to worry about the trustworthiness of your data. Microsoft created and curated a list of trusted material and reference sources from which it pulls out your research. Researcher provides structured, credible and, more importantly, safe information you can use freely. 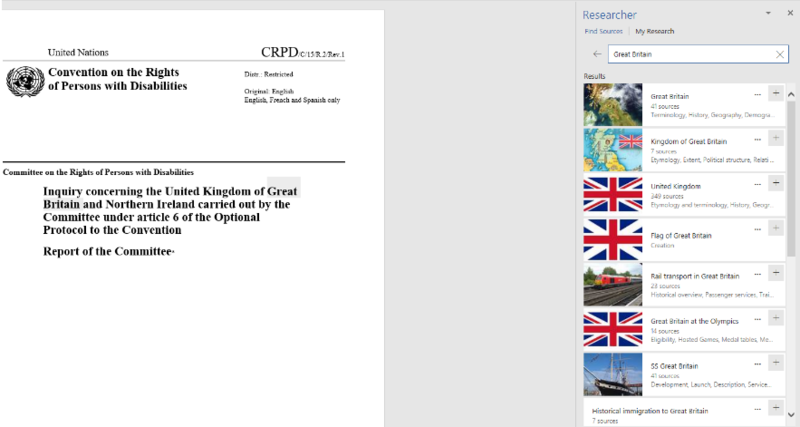 You can even use the option to automatically create your citations and directly add quotes to your research paper. So you don’t have to worry about writing references in MS Word. This eliminates the hard work that includes finding, inserting, and citing any published sources you use, giving you more time to refine and strengthen your thesis rather than going back and digging up more research to support it. After clicking the icon, a right sidebar will appear where you can search for the term you’re researching. 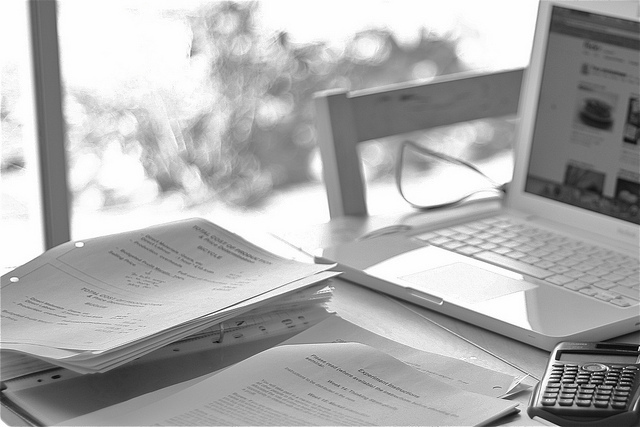 What makes the difference between a great research paper and a poor one? The secret is in the way everything is edited for the final version. Behind every good student lies a top class editing tool and to help you here, Microsoft offers up an Editor feature. The Editor feature is a digital writing assistant that helps you with proofing and editing your content. Simply put, the feature flags any unclear phrases, marks up complex words, and makes suggestions by displaying various alternatives. It’s aimed at improving your writing style in MS Word. The writing style functionality uses a combination of machine learning and human input, making the writing clearer or more effective. Rather than concentrating solely on spelling errors, MS Word’s style suggestions ability can replace complicated phrases with more direct alternatives. To boot, details on why MS Word suggested the proposed changes are also added inside your document so you get a chance to learn from your mistakes. If you’ve done everything right, then it’s time to present your work. It’s not uncommon to use MS PowerPoint to create presentations and visually explain your theses. And now this is even easier with an option in Microsoft PowerPoint 2016 you also probably didn’t know about. This nifty feature is the Zoom feature, which looks similar to what Prezi is offering. This is aimed at making presentations more appealing, giving your slides a breath of fresh air. Instead of presenting slides one by one, you can quickly provide a full summary and let the audience know exactly how long is left in the presentation. This way you get a clear view of what section is being covered and the Zoom feature will make it more visually appealing. Essentially, it gives the student a “thumbnails” view of upcoming slides, managing individual ones more like hyperlinks to different web pages. With these features writing a paper or presenting your ideas becomes much easier. And this isn’t useful just for students. It’s useful for anyone conducting, writing and presenting research. Will the Researcher tool make your life easier and will the style suggestions actually be useful for you? Let us know in the comment section below. Investintech’s Next Special Build Is Here: Able2Extract Pro 11.2!